Our village caters for the retired lifestyle in a beautiful and relaxing area. Our incredible staff are on call 24 hours a day to assist in the well being of all our guests. 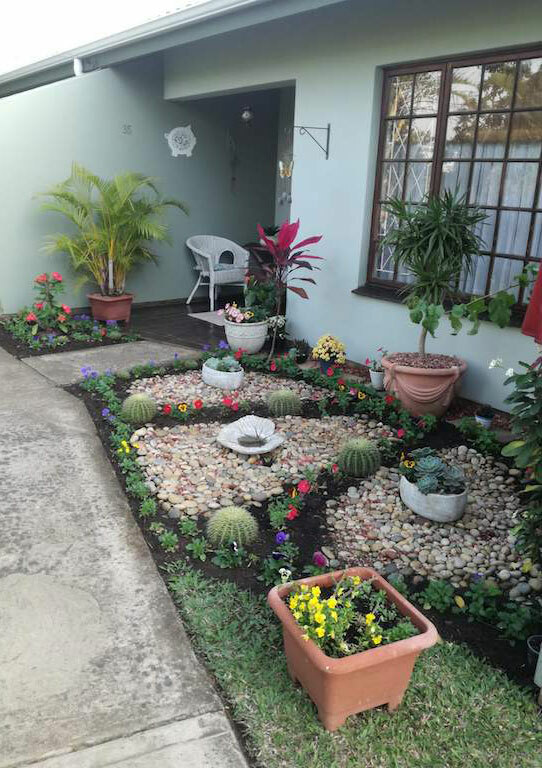 Our village is located near the Sanlam Centre shopping mall and the Garden Clinic. We ensure that all our residents and guests are constantly engaged. Leisure Gardens Retirement centre in Empangeni is located near the heart of the CBD, making it easily accessible to the Sanlam Centre shopping mall, Game Shopping Centre, and the local sports grounds. We have 56 comfortable cottages which can accommodate up to 84 people, but at present we have 79 occupants. Our cottages consist of 28 double cottages and 28 single cottages. In addition to our accommodation units, we also have a state of the art Care Centre with 3 mid-care units and 6 step-down units. When applying to move into Leisure Gardens, potential inhabitants have a choice between Life Right and Rental Cottages. In our environment, safety is of the utmost importance. The village is secured with a monitored electric fence, electric gates and a night shift security guard provided by a reputable local security firm. In addition to the external security measures, each flat is equipped with panic buttons which are monitored both onsite and by a reputable local security firm.